Working out has become a very important part of my life in the last few years. I used to be one of those people who desperately wished I wanted to work out, but I had a difficult time getting motivated. Now I’m one of those people that if I take a day off from working out I feel like I am missing something in my life. It’s as routine to me as brushing my teeth! I’ve become much stronger than I ever thought I could be, I weigh less than I used to, although I’m not where I want to be weight-wise, but I’m working on it. Going to the gym 5 or more times a week requires a lot of athletic wear that I’ve had to add to my wardrobe. I mean, who has time to wash sweaty, stinky clothes every day? My favorite store to find clothes that work for me is Lucy. I like their clothes because they are stylish, appropriate and comfortable and some things can even be worn outside the gym. You know those gym girls who wear such inappropriate clothing to the gym – we’ve all seen them. Once you get to be over 40 you really have to think about what is even age appropriate for athletic wear. You don’t want too much of the girls showing, a lot of tummy baring clothes can look like you’re trying too hard, but yet you want to be stylish. And if you’re like me, you have thighs so finding bottoms that work with your body are a bonus! I love that some of their tops come in longer lengths – I’m short legged with a long torso so it can be difficult to find tops that are long enough when lifting weights that I don’t have to pull down all the time. Some of the pants and capris come with either a pocket or zippered pockets which is great for putting my iPod into or if I’m running errands to throw a credit card in my pocket. Many of the pants come in short, regular and long sizes. Another plus – the clothes can be washed over and over again and still look new. My capris, leggings and pants have been washed and put in the dryer countless times and still look brand new. Same for the tops and jackets, too. 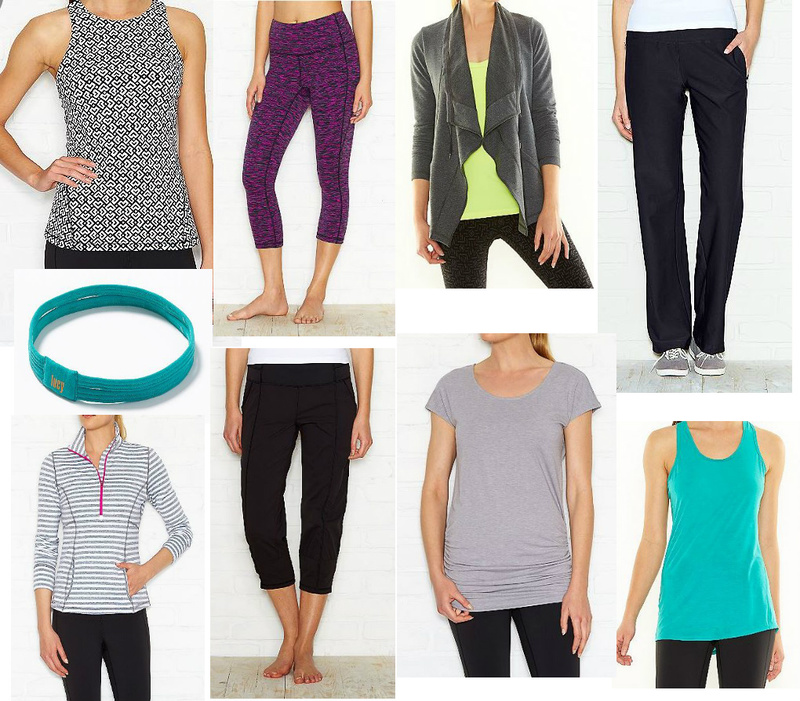 Their styles of clothing run the gamut whether you do yoga, run, crossfit or whatever your game may be. It all boils down to wanting to looking stylish and feeling comfortable, because when you’re working out that’s the last thing you want to worry about.